Manufacturer of Autos, Motorcycle & Bicycle Accessory. Ratchet Buckles are most commonly used with construction, boating, logging, trucks, heavy gear & equipment, etc. 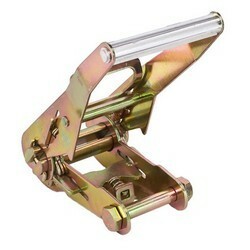 We offer a wide range of Ratchet Buckles. OEM and ODM custom design are also welcomed.